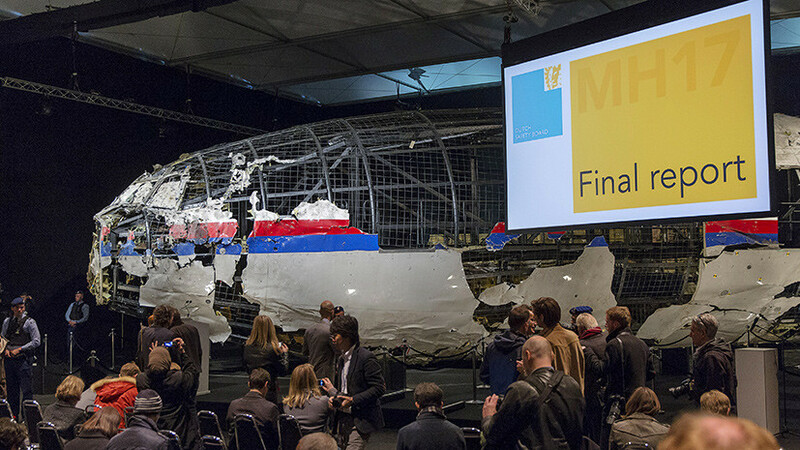 The head of Australian Ministry of Foreign Affairs, Julia Bishop, said that it is premature to talk about the findings of the investigation into the catastrophe of the Malaysian Boeing MH17, shot down in the sky over the Donbass in 2014. So she commented on the statement of her New Zealand colleague Winston Peters, who doubted that Russia was responsible for the tragedy. International investigators claim that the aircraft was shot down by the Buk SAM from an area under the control of the NDP. The data of the Russian radar station indicate that the launch was made from the territory where the air defense assets of Ukraine were located. According to experts, in the West they began to understand that the case is conducted unprofessionally and is intentionally delayed. Why did politicians talk about Russia's non-involvement in the catastrophe over the Donbas, RT explained. "Contrary to the interests of the country"
Australian Foreign Minister Julia Bishop said that for the time being it is not worthwhile to talk about any conclusions on the investigation by the international Joint Investigative Group (SSG) of the crash of the Malaysian Boeing MH17 over the Donbass on July 17, 2014. Of the 298 deaths, 38 were citizens of Australia. "Recently, Australia's policy has changed, has become less confrontational with respect to Russia," Mikhail Aleksandrov, an expert at the Center for Military and Political Studies of the Moscow State Institute of International Relations, said in an interview with RT. The political scientist associates this change with the losses from the anti-Russian sanctions and the resignation from the post of prime minister in 2015, speaking with anti-Russian statements of Tony Abbott. "You say that the man who launched the missile did so at the direction of Russia. The big problem is that your argument from the legal point of view immediately sags, because you have no proof of this, "- said the Minister of Foreign Affairs of New Zealand. 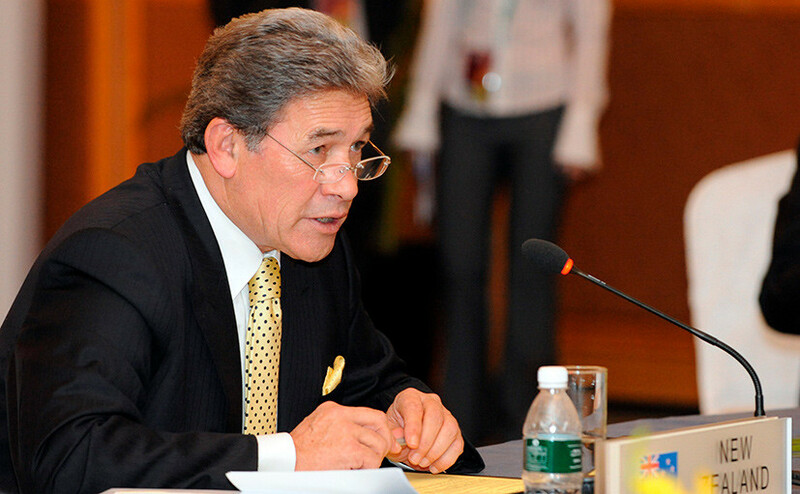 Speaking about the proposal to resume negotiations on the establishment of a free trade zone with Russia suspended in 2014, Peters stressed that his country can not waste time waiting for the outcome of the investigation. "If it turns out that these insinuations do not have actual confirmations, then we'll just waste time, and this does not meet the interests of our country," the minister said. "There really is not any evidence," notes Alexandrov. - And the involvement of Donbas militiamen is also not proven. Much indicates that this Kiev regime shot down the plane. Both New Zealanders and Australians understand this. But New Zealanders are more free in their statements, and Australians are still connected with the US military treaty ANZUS (New Zealand and the United States broke the agreement on military cooperation back in 1987), so they are more cautious. " Criminal investigation of the Boeing MH17 crash of "Malaysian Airlines" has been going on for four years - since the establishment on August 4, 2014 of the Joint Investigative Group (SSG), which includes representatives from Australia, Belgium, Malaysia, the Netherlands and Ukraine. On October 13, 2015, the Dutch Security Council published the results of a technical investigation in which it stated that the aircraft was hit by a surface-to-air missile that is part of the Buk, Buk-M1 and Buk-M1-2 missiles . In October 2016, the SSG stated that the missile was launched from the area of ​​the Pervomayskoe and Snezhnoe settlements, which was controlled by the DNP militiamen. Vitaly Bordunov, an expert of the International Civil Aviation Organization (ICAO), said in an interview with RT that the SSG is in principle an illegitimate institution from the point of view of international law. "If they were decent normal people who really respected international law, they would do so as expected. Ukraine had to organize an appropriate investigation together with Malaysia, which was not done, "the expert said. According to Bordunov, the Boeing MH17 disaster over the Donbass falls under Article 26 and Annex 13 of the Chicago Convention on International Civil Aviation of 1944. According to the document, Ukraine, as the country where the tragedy occurred, was to conclude an investigation agreement with Malaysia, which belonged to the aircraft, and not the Netherlands, and to register it according to ICAO rules. The agreement was also to be tested for compliance with the principles of the Chicago Convention. This procedure presupposes control over the investigation by ICAO. None of this was done. "This international commission is created outside the framework of international law, led by its district policeman of a small Dutch city, where there are no specialists, nothing," the expert stresses. - All this is typical for the current situation in the world, if anything - Russia is to blame. It does not matter that there is no evidence”. According to the expert, "ICAO stands aside," and the investigation itself reminds rather a "conspiracy" to blame Russia. In October 2016, Moscow transmitted to the investigation data of primary radar, which cast doubt on the conclusions of the Joint Investigative Group on the launch of the missile that shot down the MH17. "As already stated in the Ministry of Defense of the Russian Federation, and representatives of the Almaz-Antey concern, when launching a missile from Pervomaisky it would necessarily be reflected on the radar data. And this is not reflected on the radar station, "Russian Foreign Ministry spokeswoman Maria Zakharova said in November 2018. However, the investigation has not yet reacted to these data. "As experts say, all this is elementary registered, everything is visible in this scenario, but our data did not pay attention, as if they do not exist," Bordunov said. On March 12, 2018, the Dutch journalism investigation program Zembla named the names of the main suspects in the destruction of the aircraft. It is allegedly the ex-defense minister of the Dnipropetrovsk region Igor Strelkov, his subordinate Sergei Dubinsky and Colonel-General of the Russian Armed Forces in retirement Nikolai Tkachev. Allegedly these names were reported to the investigation by the Security Service of Ukraine. Earlier, journalists, including the Australian ones, often appeared with similar "sensational" exposures, however, according to Bordunov, "this is a linden, from the legal point of view, it is impossible to take these arguments seriously". The Russian Foreign Ministry has repeatedly noted the special attitude of the Joint Investigative Group to Ukraine. In particular, there is no negative reaction to the fact that Kiev hides some of the information: it refuses to provide data on the negotiations of the military dispatchers and the location of the Ukrainian SAM systems of the Buk family. At the same time, unlike in Ukraine, Russia does not have the status of a full participant of the SSG. In addition, the SSG uses as evidence the materials of the "investigation" of the Bellingcat website, based on data from social networks. "In the legal language this is called bias, a reluctance to understand who did what and what," the ICAO expert says. "And if so, then how long this investigation will last, I do not know, there are their games here." On February 22, 2018, the Ministry of Justice of the Netherlands announced the extension of the investigation until 2019, although earlier it was going to publish the results as early as the beginning of 2018. The ministry reported this to the parliament in its report. According to the Dutch Ministry of Justice, so far, four years after the disaster, the remains of victims' bodies are being collected. Nevertheless, despite the incompleteness of the investigation, the Hague "is preparing for the start of the trial." And although the Ministry of Justice of the Netherlands claims that it has read the report of Russian experts, the conclusions drawn from it have not been announced. "There is no clarity on this issue," Bordunov said. "There is only one conversation that Russia is to blame for everything." In October 2017, the Supreme Court of the Netherlands authorized the government not to publish the results of the investigation of the Joint Investigative Group. "They can not tell the truth," Mikhail Aleksandrov said. - If you confirm the non-involvement of Russia and the Donbas militiamen, then it is necessary to blame Ukraine. And this will be a politically strong blow to Kiev. " According to the expert, as soon as the investigation recognizes that Ukraine has shot down the aircraft, this will call into question the relations of this country with Europe, to which neither the US, nor NATO, nor the EU will go. "They can not openly lie, recognize the truth - too, here they are," Alexandrov summed up.